Following Supreme Court nominee Brett Kavanaugh's "categorical and unequivocal" denial of allegations of sexual misconduct that Democrats had been aware of since July, referred to the FBI this week, who then confirmed they would not investigate the matter; the accuser has gone public. As The Washington Post reports, Christine Blasey Ford, now a 51-year-old professor at Palo Alto University in California, has come forward as the person who wrote a confidential letter to a senior Democratic lawmaker alleging that Supreme Court nominee Brett M. Kavanaugh sexually assaulted her more than three decades ago, when they were high school students in suburban Maryland. As The Hill reports, Ford described an incident between the two in high school, alleging that Kavanaugh pinned her to a bed one summer in the 1980s and forced himself on her. 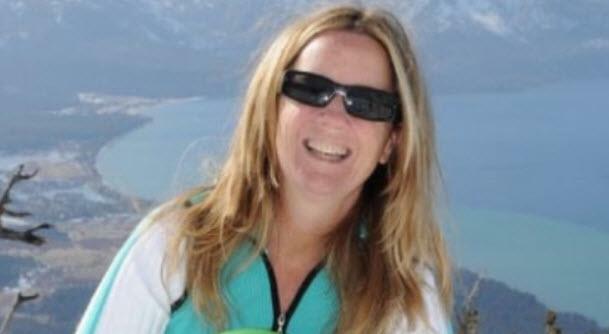 “I thought he might inadvertently kill me,” Ford said. While it should not matter in this case of she-said-he-said, we note that Ford is a Democrat who made donations to various Democratic recipients. "I categorically and unequivocally deny this allegation,” Kavanaugh said in a statement provided by the White House, his first comments on the allegations. Judiciary Committee Chairman Chuck Grassley's (R-Iowa) office sent out a letter on Friday morning from 65 women who knew Kavanaugh when he was in high school. "We are women who have known Brett Kavanaugh for more than 35 years and knew him while he attended high school between 1979 and 1983,” the letter states. "We strongly believe it is important to convey this information to the Committee at this time," they added. Grasssley's office added that Kavanaugh has undergone six FBI investigations since 1993 and "no such allegation resembling the anonymous claims" was included in the FBI reports, and that, separately, no similar allegations have been brought to Republican members of the Judiciary Committee or staff. Sen. Chuck Schumer: "Senator Grassley must postpone the vote until, at a very minimum, these serious and credible allegations are thoroughly investigated." Sen. Diane Feinstein: "I support Mrs. Ford's decision to share her story, and now that she has, it is in the hands of the FBI to conduct an investigation. This should happen before the Senate moves forward on this nominee." Sen. Kamala Harris: "Christine Blasey Ford courageously stepped forward to tell her story — it is a credible and serious allegation. The Senate has a constitutional responsibility to scrutinize SCOTUS nominees. A vote on Kavanaugh’s nomination must be delayed until there is a thorough investigation." Keith Ellison abuse allegations do not have enough evidence despite a 911 call which actually exists. "It’s disturbing that these uncorroborated allegations from more than 35 years ago, during high school, would surface on the eve of a committee vote after Democrats sat on them since July. If Ranking Member Feinstein and other Committee Democrats took this claim seriously, they should have brought it to the full Committee’s attention much earlier. "